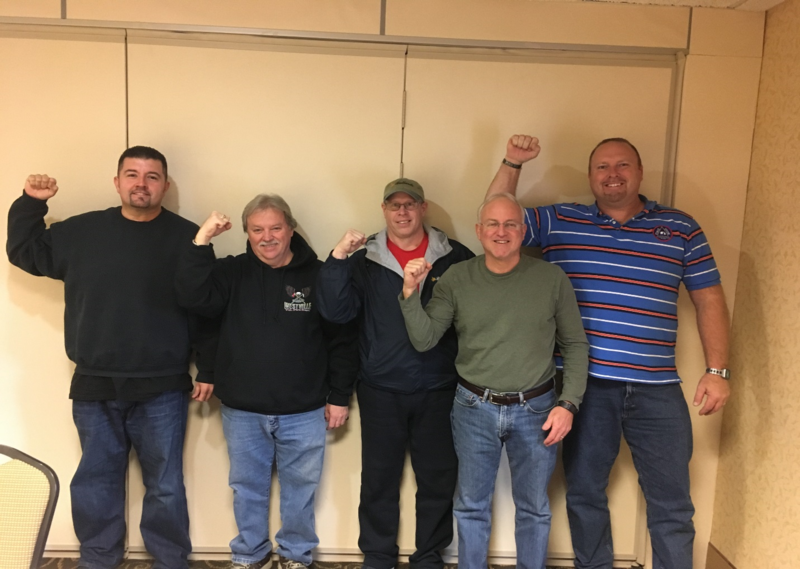 AOC Resins workers celebrate their new status as ICWUC members with ICWUC organizer Lance Heasley (right). 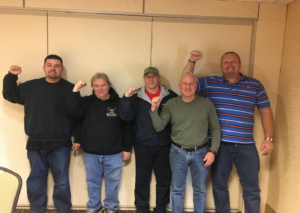 Workers at AOC Resins in Valparaiso, Indiana, recently voted to join the International Chemical Workers Union Council (ICWUC) of the UFCW by an overwhelming margin. AOC is a plastic fabrication company, and the workers wanted a voice in their workplace. The ICWUC is proud to welcome all of these workers to our union and looks forward to helping them negotiate their first contract.